This is a sponsored post on behalf of Rite Aid. I hope you are having a great summer! If your tan isn't quite what you were hoping for at this point, check out this SPF + bronzer in one! You can give your skin an instant boost of color, while still protecting your skin! 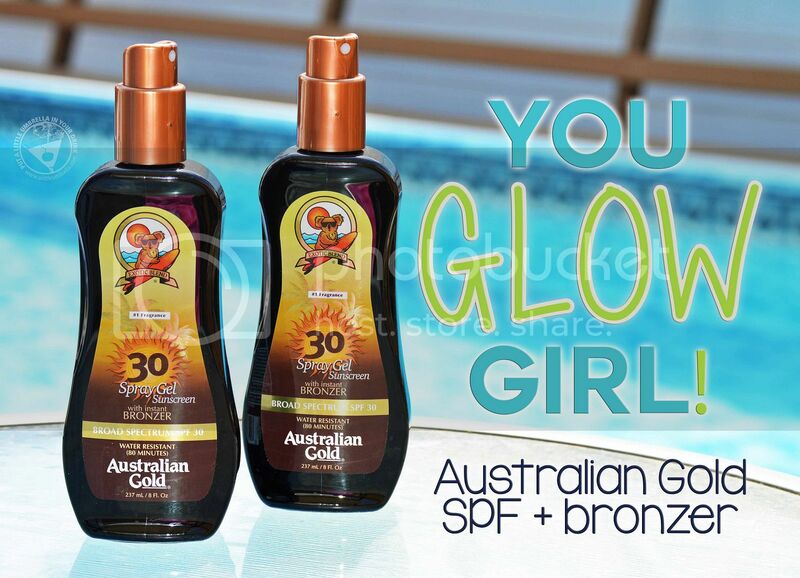 Australian Gold Spray Gel sunscreens with instant bronzer gives you the color you crave and the protection you need. 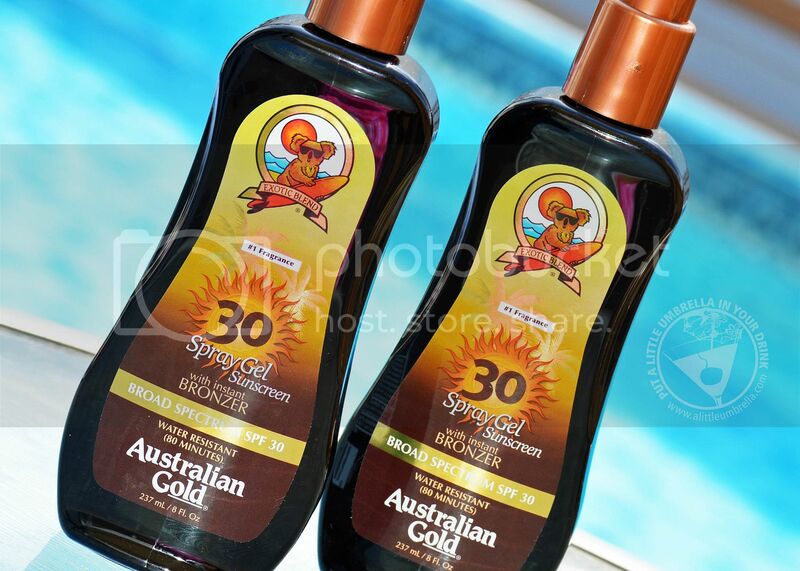 I have been using Australian Gold for years and this is one of my favorite sun products. This spray gel sunscreen with bronzer is available at Rite Aid! Not a self tanner, this instant bronzer provides temporary color that washes off with water. It dries quickly, yet gives you a natural-looking glow, so you can have great color even if it's your first day on the beach. Don't worry, it doesn't make you look like an ooma-loompa! The bronzer gives you a beautiful glow that won't run off on your suit or towel. 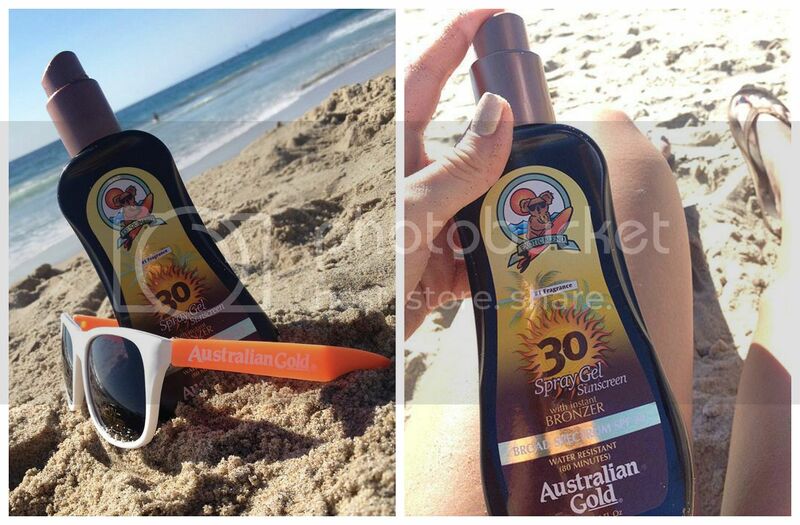 The Australian Gold Sunscreen plus Instant Bronzer is the perfect summer combo, whether you already have a tan or not. Who doesn't want protection plus color?! Plus the instant bronzer is all natural, made from caramel and walnut seed extract. It smells fantastic too! Connect :: Visit your local Rite Aid for all of your summer skincare needs. Look for the koala on the bottle to find the Australian Gold Spray Gel! Connect with Rite Aid on Facebook and Twitter.